The best financial plans are intensely personal. An Ameriprise financial advisory practice in Dunedin, Florida, called on Pollywog to help them rename their practice. As is typical in the financial services industry, their practice had been named after its founders, a father/son team. They asked us to create a brand name that would allude to their purpose-based planning, which orients a client’s financial decisions around what’s most meaningful to them. 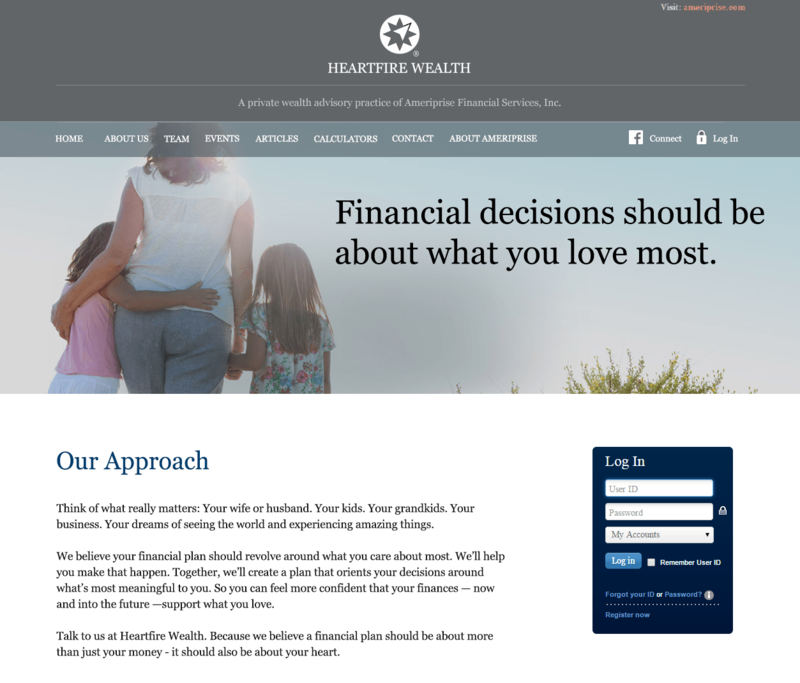 The best financial plans are intensely personal. They’re about supporting what’s closest to your heart. Because we get to know you so well, we can lead you through purpose-based planning, which orients financial decisions around what’s most meaningful to you. So you can be sure that your finances, now and into the future, will support what you love. This compound name—”heart” paired with “fire—is more than the sum of its parts. It suggests a passion that comes from deep within, strongly connecting with the firm’s promise to help clients support what they love most. And the fact that a financial services firm was bold enough to commit to such a different and compelling name gives strong credibility to that promise.